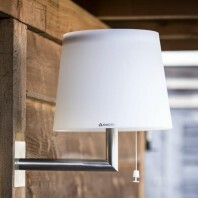 The durable Gacoli outdoor lamps are powered by the sun and, therefore, do not require electricity. 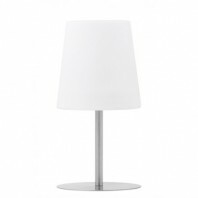 As such, Gacoli lamps are completely wireless and perfect for a garden or balcony. Powered by the sun The robust Gacoli-designed outdoor lamps for your garden or balcony obtain all their energy from nature and do not need any electricity, which means they're fully wireless. 189,95 € Delivery: max 1 week. Hems Achterhuis, the founder of GACOLI, is also the brand’s designer. He got the idea to start the brand when feeling, one day, that his garden was missing something. He started wondering what elements people have inside that they don’t have outside, and why? While the concept of outdoor furniture has been around for some time now, Achterhuis realized that the market for attractive, outdoor lighting had still been left untouched. He got to work sketching some designs and, slowly but surely, the now well-known stylish, yet durable, Gacoli outdoor lamp – complete with an elegant cover – emerged. 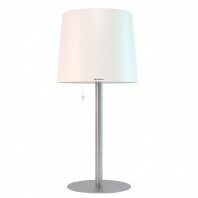 Words that have been used to describe these lamps include original, fresh, unique, retro, and luxurious. After spending two years fine-tuning and developing the lamps, GACOLI was ready to be introduced as the most original and clever outdoor lighting solution available. 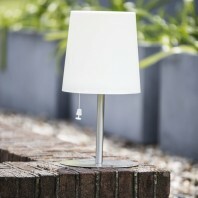 The name GACOLI stands for Garden Comfort Living, with a slogan of ‘Beautiful garden lights for everyone’. According to Achterhuis, however, the ‘comfort’ factor is not simply associated with the light generated from Gacoli lamps. Instead, it is more focused on the removal of having to arrange cabling which can be expensive and prevents the mobility of the lamp. As such, Achterhuis developed the EMU (Energy Management Unit), which is a high-tech, compact panel incorporated into the cover of Gacoli lamps. This unit absorbs energy through solar panels and lights up the lamp cover and nearby area with powerful, warm, white LEDs. 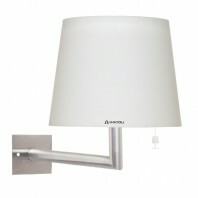 Therefore, the issue of wiring is no longer a problem and the lamp can be moved around with ease. As mentioned previously. Gacoli lamps are powered by the sun resulting in an environment-friendly lighting solution. Over and above providing garden lamps, the brand also offers outdoor lounging furniture.